cultural relics and artifacts from an old jail are among the attractions here. The hall is also the stage for a market each Saturday from 9:00 to 13:00. Seasonal and specialty farm produce, handicrafts, and other local products are sold, presenting the area's character and vitality. Take County Road 193 north to downtown Hualien and turn left (west) at Zhongshan Road. Continue on Zhongshan Road to the park. Fengbin Township is a narrow strip of land along the Hualien County coast. Scenic mountains and sea hem the Coastal Highway (Provincial Highway 11) as it passes through the township. Shitiping, at the southern end, is home to some of the East Coast's most beautiful coral reefs and coastal animal and plant ecology. These attractions, along with the high visibility of the clear water, have made the area a popular snorkeling site. A loop trail and beach path bring the beauty of the coastal reef, forest, and other attractions up close, inviting one to slow down and appreciate it all. Whale- and dolphinwatching cruises depart from nearby Shiti Harbor, and entice with a high chance of a cetacean sighting in the summer. There are also plenty of seafood restaurants by the harbor. Most of the catch sold here is caught by independent fishermen. The prices are low, and the freshness goes without saying. No. 52, Shitiping, Fengbin Township, Hualien County (located along Provincial Highway 11 near the 63.7-kilometer mark). From downtown Hualien, take County Road 193 south and turn left onto Provincial Highway 11. Continue south on Provincial Highway 11 to near the 63.7-kilometer mark. 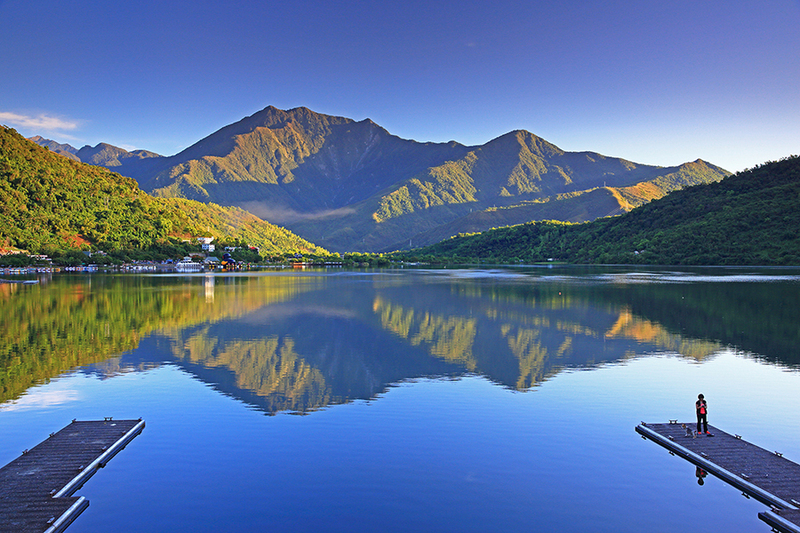 Hualien's Liyu Lake is the largest inland lake in eastern Taiwan. The clear lake water picturesquely reflects the surrounding green mountains, blue sky, and clouds. A four-kilometer-long bikeway loops the lake. Heading south along the route from the visitor center, one is embraced by great mountain-backed beauty. Prawns, river crabs, frogs, and other local denizens can often be sighted -- and bring binoculars to enjoy the birds. Pavilions are located along the bikeway for rest stops. You can also walk the trail to enjoy the scenery at a more leisurely pace. Canoes and pedal boats can be rented for a round-the-lake trip, offering a good way to experience the area's relaxing tranquility. From downtown Hualien, take Provincial Highway 9C. 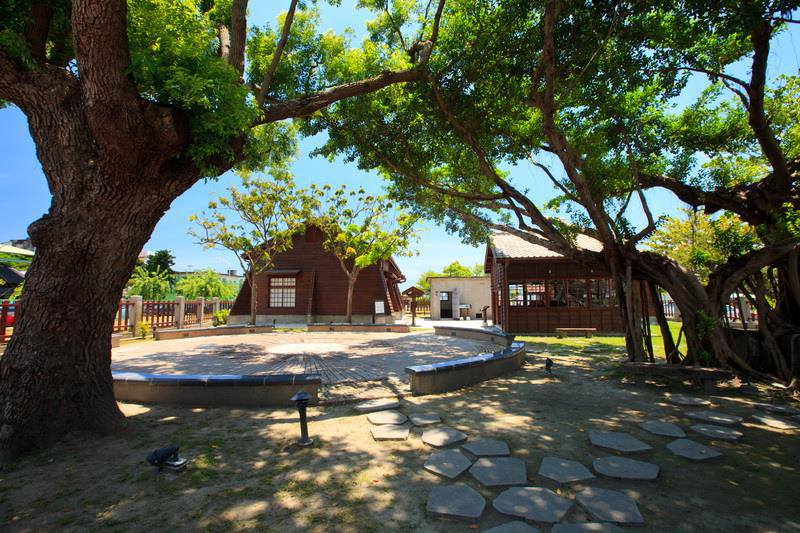 Pine Garden is a historic site that originally served as an officers' hostel and regional command base for the Japanese military. From its high perch in Hualien's Meilun neighborhood, the site commands a sweeping view of Hualien Harbor and the Pacific Ocean, its waters forming a seamless expanse of blue with the sky. Century-old pines tower proudly on the lush landscaped grounds, suggesting a freehand landscape painting. The main building, a two-story western-style structure renovated with care to preserve its period appeal, is a frequent venue for exhibitions, seminars, cultural performances, and other events, adding an artistic dimension to this captivating destination. 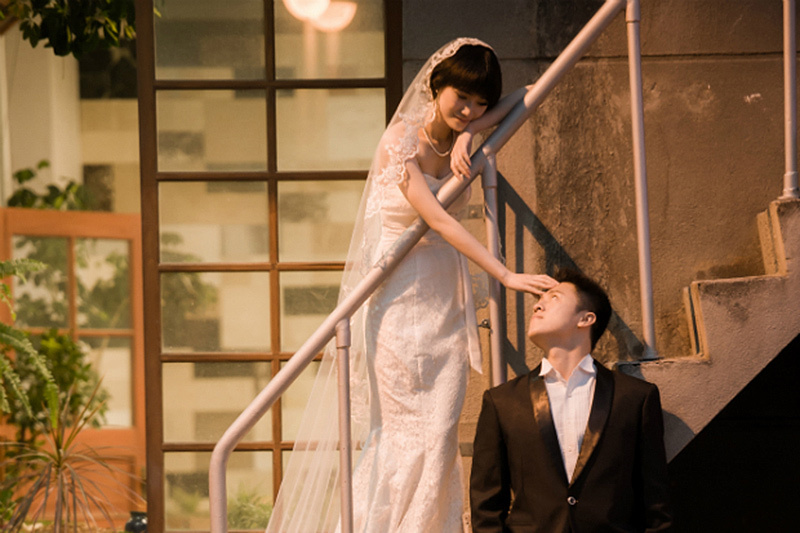 9:00am – 6:00pm (Couples having wedding photos taken will be admitted into Pine Garden at 8:00am. Advance booking is essential.) Closed second and fourth Tues each month. From Qixingtan, take Provincial Highway 9 toward Hualien and follow the signs to Pine Garden. Qixingtan is a district with a small fishing village and a gracefully arched bay stretching over 20 kilometers. 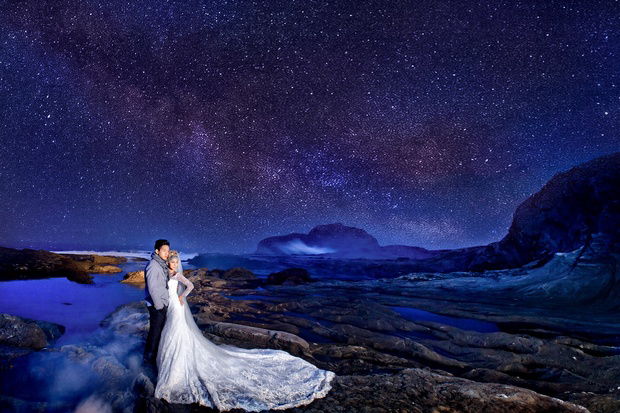 The pebble beach, azure sea, and blue skies have made this site an attractive destination for young couples and pre-wedding photo shoots. As a scenic recreation area, the coast here has been preserved in a mostly pristine state, with few human embellishments to detract from its natural beauty. Facilities include the Star- Gazing Square, Sunrise Building, a trail, pavilions, and a stone-sculpture park, accommodating a range of activities, from splashing in the waves to gazing up at the star-filled sky. From Qixingtan, you can also cycle the 15-km Gangbin Bike Trail south to Nanbin Seashore Park in Hualien City. The beauty of the Pacific Ocean accompanies you along the way, and the views are especially lovely at sunset. Take National Freeway 5 and exit at Suao. Connect to Provincial Highway 9 toward Hualien. Continue on Provincial Highway 9 to reach Xincheng. Then connect to Haian Road and follow the signs to Qixingtan. This lakeside chateau is surrounded by beautiful gardens, swaying coconut groves, and red cypress woods, combining to create a romantically European tableau. 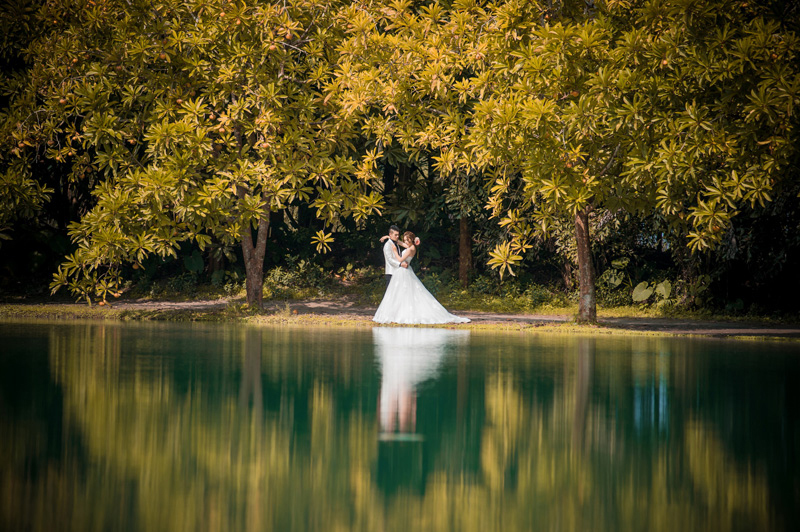 The landscape seduces with its rich variety, and a sense of tranquility seems to settle over it all, earning this place the nickname "Dream Lake" and a high spot on the list of Hualien pre-wedding photo sites. The shrouded surrounding peaks lend a particularly poetic note to the area on misty days, and on clear days the blue sky complements the greens of the landscape to present nature in all of its intoxicating beauty. From Qixingtan, take Provincial Highway 9 and connect to Provincial Highway 11, toward Shoufeng. Then connect to Provincial Highway 11C and turn left near the 14-kilometer mark.